In the Pulitzer Prize-winning novel The Amazing Adventures of Kavalier and Clay, prose magician Michael Chabon conjured up the golden age of comic books -- intertwining history, legend, and storytelling verve. In The Final Solution, he has condensed his boundless vision to craft a short, suspenseful tale of compassion and wit that reimagines the classic nineteenth-century detective story. In deep retirement in the English country-side, an eighty-nine-year-old man, vaguely recollected by locals as a once-famous detective, is more concerned with his beekeeping than with his fellow man. 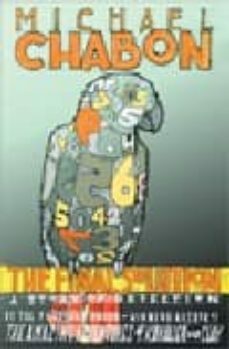 Into his life wanders Linus Steinman, nine years old and mute, who has escaped from Nazi Germany with his sole companion: an African gray parrot. What is the meaning of the mysterious strings of German numbers the bird spews out -- a top-secret SS code? The keys to a series of Swiss bank accounts perhaps? Or something more sinister? Is the solution to this last case -- the real explanation of the mysterious boy and his parrot -- beyond even the reach of the once-famed sleuth? Subtle revelations lead the reader to a wrenching resolution. This brilliant homage, which won the 2004 Aga Khan Prize for fiction, is the work of a master storyteller at the height of his powers.